The introduction of internment was accompanied by a 12-month ban on all demonstrations. Despite this, on January 30 1972 tens of thousands of people attended a demonstration in Derry. The state's response to this act of defiance was a cold-blooded massacre. CS Gas and water cannon had already been used by the time the Parachute Regiment came onto the streets and opened fire on the crowd. The Army claimed that they were returning fire, but forensic tests on the 14 people killed showed that none of them had had contact with weapons and no weapons were found anywhere near the bodies'. 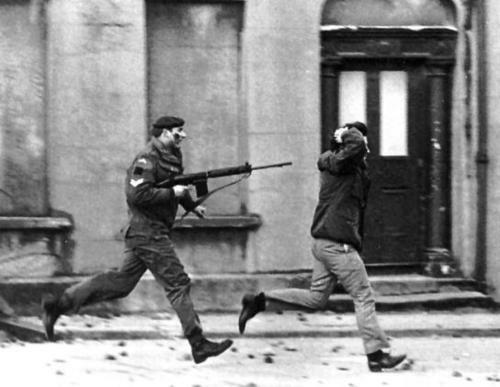 The official Bloody Sunday Inquiry eventually concluded in 2010 that the dead were innocent. But for years, the authorities attempted to hide the truth, with an earlier official investigation (the 1972 Lord Widgery report) including all kinds of smears and false claims that the soldiers had come under attack from gunfire and bombs. The fight for the truth was carried on for years by the victims' relatives and their supporters in the Bloody Sunday Justice Campaign. 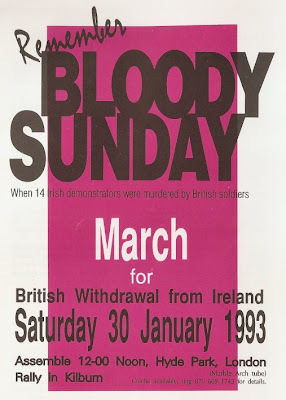 ﻿﻿For many years the main mobilisation of the Irish solidarity movement in Britain was for the annual Bloody Sunday commemoration march each January. 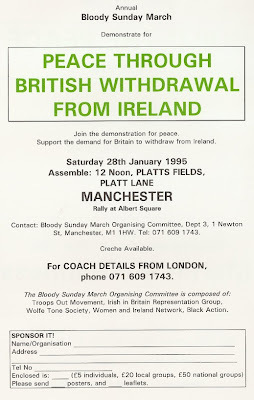 I went on these marches in the 1990s, they typically attracted between two and five thousand people and ended up in a north London area with a high Irish population like Kilburn or Archway. 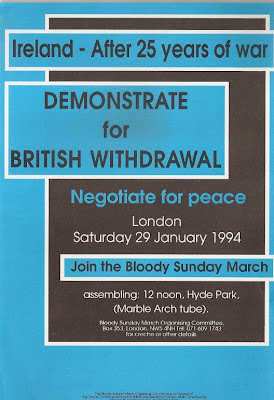 A feature of the Bloody Sunday marches was that the far right (BNP etc.) often mobilised to oppose them, so that in the pubs and streets surrounding the demonstrations there would be skirmishes between anti-fascists and racists. In 1990 for instance, three Anti Fascist Action (AFA) members were jailed after notorious Nazi skinhead Nicky Crane was dragged out of a taxi in Kilburn in the vicinity of the Bloody Sunday march. 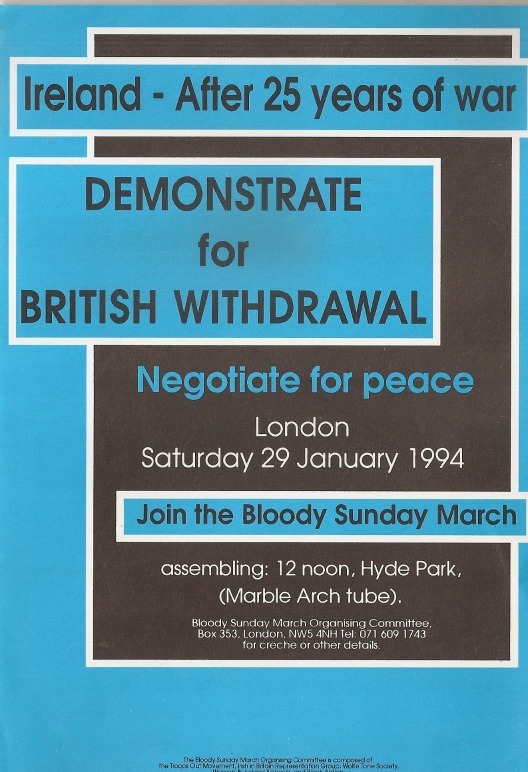 The biggest trouble was on the Bloody Sunday march in 1993, when hundreds of fascists attempted to attack the march at the assembly point in Hyde Park and then again along Edgware Road. 376 fascists were arrested before the march made it to Kilburn where the speakers included Gerry Duddy, whose brother Jack was killed in 1972.
there were clashes between AFA and fascists in the Clarence pub and along Oxford Road. 'My first real taste of the British military presence came when the bus bringing us from Blefast was stopped at an army checkpoint outside of Derry. Troops boarded the bus, with one soldier walking slowly up the bus pointing his rifle at the heads of passengers. In Derry itself the 'security forces' were keepong a low profile (by Irish standards), presumably because of the large international press presence. A low profile involved three helicopters in the sky, armoured police land rovers following the march and heavily armed RUC officers overlooking the route. 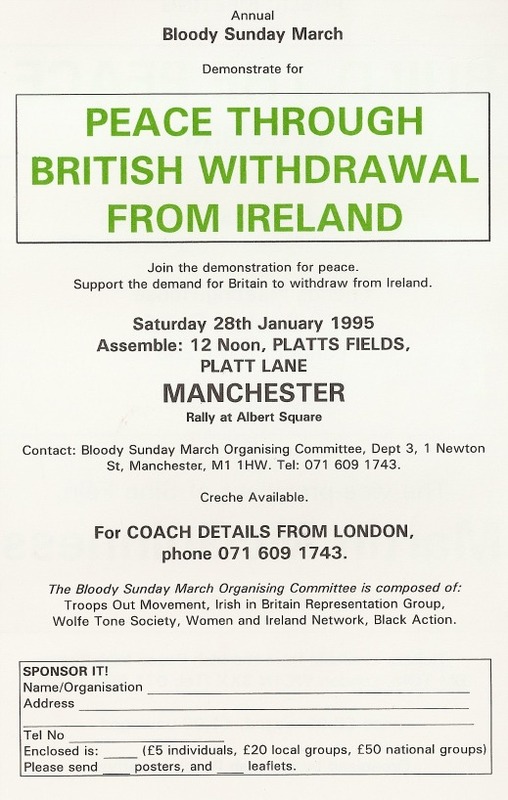 The march, organised by the Bloody Sunday Initiative, came at the end of a week of events in the city on the them 'One World, One Struggle' to mark the anniversary of the massacre. Thousands of people marched from the Creggan Estate, through the Bogside and into the Guildhall Square in the City Centre - the planned destination of the 1972 demonstration. As well as contingents from different parts of Ireland, there were supporters from Britain, Germany and elsewhere. A huge 50-foot long banner proclaimed 'We are the people of struggle, ours is the culture of chnage'. 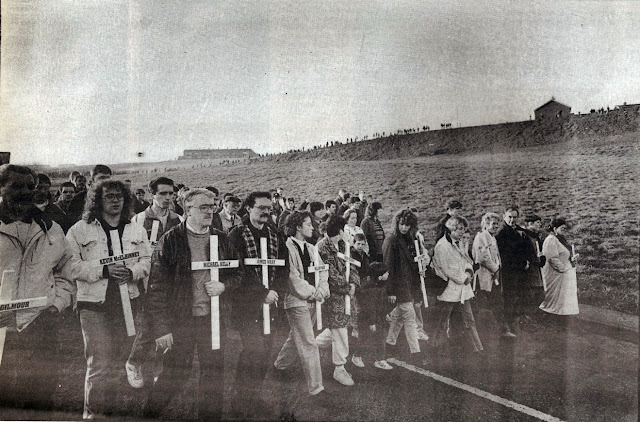 Relatives of those killed in 1972 marched at the front, and pictures of the dead were carried by marchers, as well as being displayed on murals along the route). At the end of the route a large crowd listened to speeches from Gerry Adams and Bernadette McAliskey. Young children threw bottles and stones at the police vehicles (already colourfully decorated by paint bombs), but apart from this traditional local custom there was no trouble. However on the way back to Belfast, a window was smashed in our bus by Loyalists. Two people had to go to hospital to have their eyes examined for glass injuries. Within ten days of the demo three people had been killed by an RUC officer at Sinn Fein's Falls Road offices in Belfast, and five more people had been killed by a pro-British loyalist gang in a bookmakers shop in Belfast's Ormeau Road'. So is Bloody Sunday now only of historic interest? No, it is a reminder of the murderous ruthlessness of the establishment when it thinks it may be losing. Prime Minister Edward Heath and the top brass of the army sent the soldiers in that day, and none of them were ever held to account. And in these times when we are supposed to believe that all soldiers are 'heroes' and to welcome the army without question into our schools and our streets, we should not forget that their one of their historic functions is to kill civilians when the police lose control. Bernadette McAliskey told the 1992 rally: ' I remember coming down that hill on that day 20 years ago. People were thinking "What can they do to us? ", we are still here after internment and after gassing. But Billy Gallagher said to me "There will be murder in this town before the day is out'. And there was... On that day we knew real, naked fear for the first time. 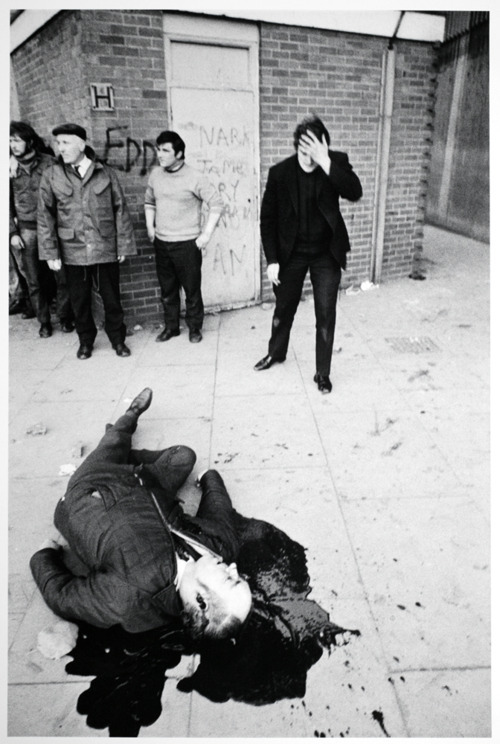 When the bullets were fired, people dived to the ground and crawled away like dogs in fear of their masters... Something else, an innocence died on Bloody Sunday. It was then that we realised that governments kill people'. 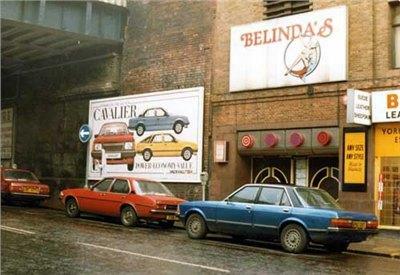 247TopCat has done a great service to social and cultural history by putting some old 1980s photos on youtube, including this series taken at Belinda's, a club in Leeds, in 1980. 'Winston Riley, an innovative reggae musician and producer, has died of complications from a gunshot wound to the head. He was 65. Riley died Thursday at University Hospital of the West Indies, where he had been a patient since November, when he was shot at his house in an upscale neighborhood in the capital of Kingston, his son Kurt Riley said Friday. Riley also had been shot in August and was stabbed in September last year. His record store in Kingston’s downtown business district also was burned down several years ago. Police have said they know of no motives and have not arrested anyone'. 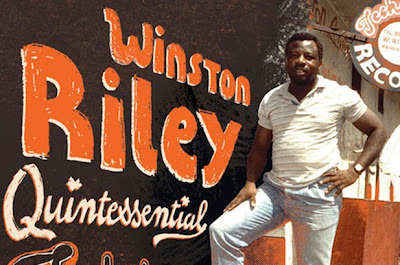 Riley's Stalag 17 Riddim has been used as the basis for these and countless other reggae, dancehall and indeed hip-hop tracks (see for instance list at Jamaican Riddim Directory). 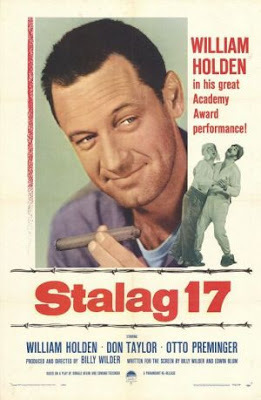 I believe the original Stalag 17 track, recorded by by Ansell Collins and produced by Riley, dates from 1973. Riley himself put out a compilation album of versions called Stalag 17, 18 and 19, and later there was a tribute album Stalag 20, 21 and 22. An intriguing question is why the orginal instrumental track was called Stalag 17 in the first place. Clearly it took its name from the 1953 movie about US prisoners of war in a German camp during World War Two; the film in turn taking its name from a real POW camp at Krems in Austria. I suspect that the name simply reflected the continuing importance of World War Two in popular culture in that period. In England, children in the 1960s and early 70s grew up on a never ending diet of war movies and no doubt it was similar in Jamaica, from where thousands of people had left to fight in the war. Other Jamaicans had travelled to work in US factories and farms during the war - incidentally some of them being detained in camps and punished for 'breaking contracts', a policy that led to a 1945 riot by 1,000 Jamaican and Bahamian workers in Camp Murphy in West Palm Beach, Florida. Of course The Skatalites had previously covered the theme tune to another war movie, The Guns of Navarone, getting a UK hit in 1967. Later, in 1978, The Clash reworked the theme tune from Stalag 17 - Johnny Comes Marching Home - as English Civil War. Anyway, there's a sweet irony in the name given by the Nazis to a prison camp being appropriated by people they would doubtless have regarded as 'racially inferior' for not just one track but a whole sub-genre of African Caribbean music. But I couldn't work out how to do it on Blogger, so instead I'm just going to write a little about it. One of the features of the 'enterntainment industry' campaign to reinforce copyright on the internet and elsewhere is the obligatory wheeling out of musicians to argue that they need punitive laws like SOPA to protect their livelihood. It may be true that in some cases the enforcement of copyright means that musicians earn more money, and like everybody else they have to make a living. But copyright laws aren't there to protect musicians/artists/cultural workers, they are there to protect the interest of property owners - record companies rather than musicians. The copyright laws also work against musicians, as many discover when they realize that their contracts mean that 'their' work actually belongs to the company. 'Gospel musician Kudzi Nyakudya was last Friday arrested after he was found selling 200 pirated CDs of his own music. The diminutive Kuwadzana-based gospel artiste spent the weekend in police cells and was only released yesterday after his recording company, Diamond Recording Studios, withdrew the charges. Selling pirated CDs is illegal as it contravenes the Copyright Act, which makes it a criminal offence to duplicate or photocopy CDs, books and any form of intellectual property without permission. In an interview yesterday, Kudzi confirmed the arrest, but said his actions were largely influenced by the recording company’s weak distribution strategies... “Look, I have been getting a raw deal from the company (Diamond Studios), and I just could not starve, so I ended up duplicating my own CDs for resale,” he said' (Nehanda Radio, 17 January 2012). 'The same sort of work can be ‘productive’ or ‘unproductive’. Milton for instance, ‘who did the Paradise Lost for £5’, was an ‘unproductive’ worker. The writer, however, who turns out factory hack-work for his book-seller, is a ‘productive worker’. Milton produced Paradise Lost for the same reason as that which makes the silk-worm produce silk. It was an activity wholly natural to him. He later sold the product for £5. But the cultural proletarian in Leipzig who churns out books (such as compendia of economics, for instance) under the direction of his book-dealer, is a ‘productive worker’; for his product is from the first subordinated to capital and intended only to utilize capital. A singer who sells her singing on her own initiative is an ‘unproductive worker’. But if the same singer is engaged by an entrepreneur who lets her sing in order to make money for him, then she is a ‘productive worker’: for then she produces capital’ (Marx, Theories of Surplus Value, Vol. 1). 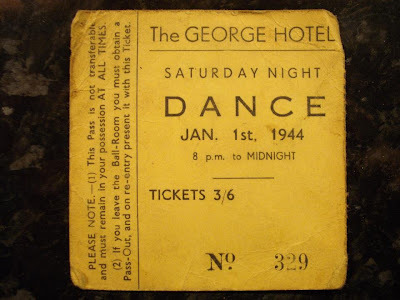 A facebook found object for my digital collection of old flyers and tickets - this one is for a 1944 New Year's Day Saturday night dance at the George Hotel in Luton. 'Please note - This Pass is not transferable and must remain in your possession AT ALL TIMES. If you leave the Ball-Room you must obtain a Pass-Out and on re-entry present it with this Ticket'. 'With great sadness I’m writing to let people know about the death of Jill Allott, a former stalwart of Brixton squatting and a wonderful friend. Jill died last Friday on 6 January from a secondary brain tumour, though she had fought off two earlier bouts of cancer. She was surrounded by family and friends. Some of you might know Jill from the 80s and the 90s in Brixton, where she lived on Brailsford and Arlingford Roads, Sandmere Road, Brixton Water Lane and Mervan Road. Like many women involved in squatting communities, Jill trained in a manual trade and became an electrician. She generously shared her skills and knowledge, whether in Brixton or further afield when she trained women electricians in Nicaragua. Later, she studied to become a Shiatsu practitioner. She was always helping people – opening squats, wiring up houses, giving Shiatsu treatments or simply being there as a friend. Jill’s enthusiasm boosted many anarchist, feminist, lesbian/gay and community projects. She helped at 121 Bookshop in the early 80s, and played a major part in organising women’s café nights and gigs there. 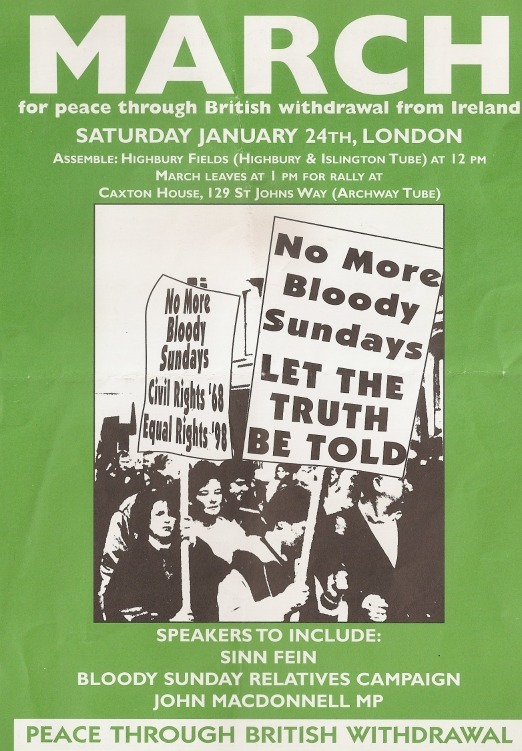 She galvanised resistance to evictions, helped produce the women’s zine Feminaxe, and took part in actions against Clause 28 and the Gulf War. Jill was also a talented drummer who played in bands such as the Sluts from Outer Space and Los Lasses. She loved a good party, especially if it involved dancing to reggae. Her birthday parties were among the best in Brixton. 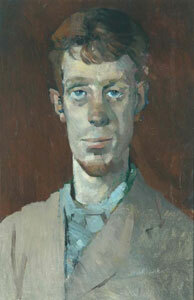 In the late 1990s she moved to Hebden Bridge, West Yorkshire. She had two children – Corinne and Finley – and continued to play an active part in communities there. Always a fighter, Jill helped form a support and action network for women affected by cancer. She worked as a Shiatsu practitioner in projects offering treatment to drug users and women facing health and mental health problems. I didn't know Jill very well personally - she was more of a friend of a friend in my Brixton days - but like many people around at the time I can say 'Thanks for fixing my electricity Jill'. 1950s Soho clubs are one of the enduring obsessions of this site, but I didn't realise until recently that there was a specifically anarchist club there during that period - the Malatesta Club in Soho, named after the famous Italian revolutionary. The club seems to have first opened on May Day 1954 and 'was run by the London Anarchist Group from 1954-8, seven nights a week. Habitues used to write songs and poetry and perform them at the club, which also had a resident jazz band' (Ian Walker, Anarchy in the UK, New Society, November 1979). Walker's article includes reminiscences of 'Justin', a veteran anarchist, who recalled '"I used to make up songs - sort of sing and shout, to a drum. Couldn't play anything used to hammer away on the drum . . . it was really something, all run completely voluntarily". The anarchists' coffee house (it never had a licence) was called the Malatesta because he was the only anarchist writer the group could agree on. 'Some were Kropotkinists and some were Bakuninists, but we all agreed Malatesta was a good guy.'" According to The University Libertarian (1955), 'Founded two years ago with much honest sweat, the Malatesta Club provides a meeting place and social centre' (University Libertarian 1955). 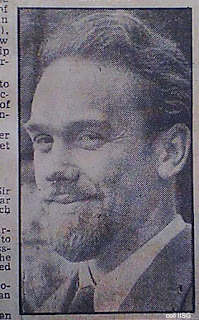 Among the founders was Philip Sansom (1916-1999), one of those put on trial in 1945 for their involvement in the anarchist paper War Commentary. and Donald Rouum, a prolific cartoonist for the journal Freedom for many years. Among those who went to the Malatesta Club at various times were the later socialist feminist writer Juliet Mitchell, author Colin McInnes; gay Labour MP and possible spy Tom Driberg and libertarian architect and writer Colin Ward. The club was clearly a key portal into the anarchist movement for the curious and the committed. John Rety, who went on to edit Freedom in the 1960s, was a Hungarian Jewish refugee who started out on the Soho literary scene publishing magazines such as Fortnightly and the Intimate Review. His collaborator John Pilgrim went to the Malatesta Club to do a report for the Review and both he and Rety were drawn into the movement. In his book The Consul (2002), the sometime English situationist Ralph Rumney mentions that ‘in Soho, I found the Malatesta Club, the final redoubt of old English anarchists’, and the writer Michael Moorcock has said that ‘Listening to old guys at the Malatesta Club talking about the Spanish Civil War’ was one of the influences on his anarchism ('Mythmakers and Lawbreakers – anarchist writers on fiction', AK Press 2009). It is mentioned in passing in his London novel King of the City where a character says 'my grandad used to complain that the anarchists (he never missed a meeting at the Malatesta Club, Red Lion Square ) had been sold out to the communists who had lost the Spanish Civil War'. Moorcock and Rumney also both hung out at the Gyre and Gimble coffee house, though not sure if they knew each other. I'm still a little unclear about where the club was. In some references, it appears it may have started out in Holborn before moving to Soho (maybe that's why Moorcock mentions Red Lion Square). 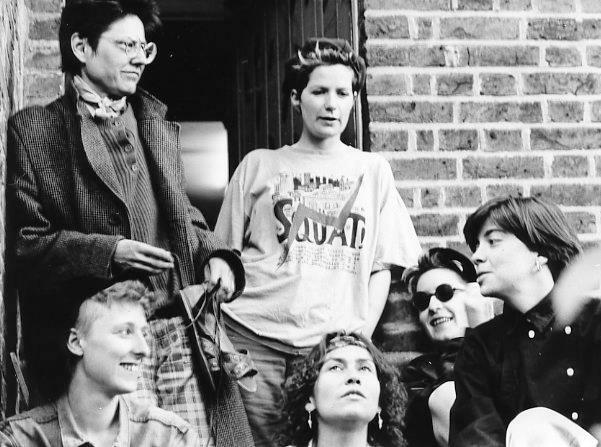 In 'Inventing ourselves: lesbian life stories' by Hall Carpenter Archives (1991), Sharley MacLean recalls her first lesbian sexual experience was with someone she 'met through the Malatesta Club which was an anarchist cafe, a dingy cellar in Charlotte Street'. But Colin Ward recalls that it was in Percy Street, which runs off Charlotte Street, so maybe it was near the corner. As an interesting aside, the Club may have had a role in UFO history. As reported in Fortean Times (January 2011): 'In Flying Saucerers (Alternative Albion, 2007, p74), David Clarke and Andy Roberts relay a quaint eyewitness account from historian Laurens Otter. In early 1954, a drunken taxi driver entered a meeting at the anarchist Malatesta Club in Soho, and asked for Sam Cash, a fellow cabbie. Learning that Cash was expected later, “…the tired and emotional taxi driver lay down across some chairs and promptly fell asleep.” At the end of the guest speaker’s talk, the chairman asked if there were any questions. 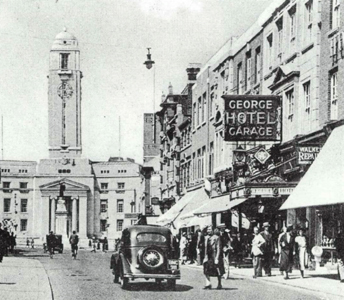 Whereupon "the taxi driver suddenly woke, asking, ‘How do I make a mill­ion pounds?’. Robinson [the chairman] took the question in good humour and speculated the best way to make a fortune was to found a fake religion. A discussion about how best to do this ensued with Otter opining that a much better idea would be to get in on the flying saucer craze. Robinson concurred, suggesting that the two ideas could be combined for best effect. […] A few years later, Cash told Otter that the drunken taxi driver, whose name was George King, had taken his advice about melding religion with flying saucers, and it had worked. The rest, as they say, is history". George King founded the Aetherius Society, claiming to have been contacted by the 'Space People' with the message 'Prepare Yourself! You are to become the Voice of Interplanetary Parliament'. 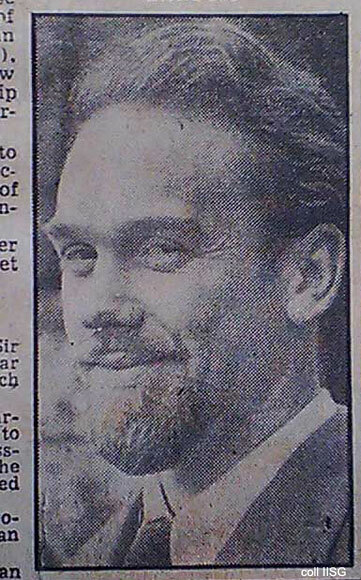 (well that's all I've been able to find out so far - would love to know more, including - what was the exact address? what kind of activities happened there? I've seen mention of chess, meetings and jazz- was there dancing? If you have any more information, or even personal recollections, please comment). 'me and Toby went to Taco Joes's for a Shambhala sound system party which a friend of Toby's was involved in. It was OK, but there were some odd people there including some who had been mixing their drugs in a new and dangerous combination - steroids and ecstasy. There was one bloke in particular stripped to the waist and taking up lots of room on the dancefloor with his excessive muscles and Arnie-style chest. As well as looking like Brixton bodybuilder of the year he was going round shaking everybody's hand and introducing himself in happy E-head style. Still it's better that he was doing that than getting pissed and smashing people's faces in with his little finger. The week after I went to the Far Side at the Robey with Kim and Vanida and then we went on to a free party in a huge squat in Brewery Road (off Caledonian Road, but not the same place as New Year's Eve). Downstairs was a big smoke filled warehouse type space. All you could see was a single beam of light and shadows dancing - the sound system and the DJs (Virus sound system who did that party we went to at London School of Printing) were invisible but you could feel a wall of earbleeding noise from their general direction. Upstairs was a bit more laid back with another dance floor and loads of rooms to chill out in. I also went one week to 'Up to the Elbow', the queercore club where Katy (DJ KT) does her stuff. It had moved from the Bell (which has been bought by the Mean Fiddler for heterosexualisation) to the Freedom Cafe in Soho. There were a couple of good bands playing - 'Mouthfull' who were a bit Nirvana-like but did a great punkified version of 2 Unlimted's No Limtes and 'Flinch' who were more in the Pixes/Throwing Muses mould'. Explanatory notes: Taco Joes's was a cafe/bar in Atlantic Road, Brixton (strangely I remember dancing to Perplexer's bagpipe-sampling Acid Folk at that party); the Brewery Road free party was in the next road to Market Road where I went to another free party on New Year's Eve 1995; the London School of Printing free party in 1994 was in a squatted building by Elephant and Castle; The Bell was a famous indie gay pub by Kings Cross, later became the Big Chill Bar. 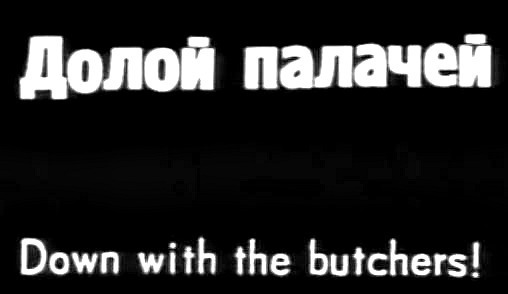 Well you can now watch the whole of Sergei Eisenstein's 1925 film Battleship Potemkin for free on youtube. If you don't know the story - the disgusting soup is the final straw prompting a mutiny by sailors on a battleship in the 1905 Russian revolution; the death of a sailor prompts an outpouring of support for the revolt in nearby Odessa; soldiers massacre demonstrators on the Odessa steps; rebellious sailors respond by shelling the opera house; the fleet is sent in to attack the Potemkin, but the sailors on the other ships join the revolt. THE END. All this plus the great scene where the man who shouts 'Kill the Jews' gets attacked by angry sailors and an early positive portrayal of disability as a man with no legs leaps down the stairs during the massacre.